I get a thrill out of summer travel—road trips, camping and the occasional long vacation. 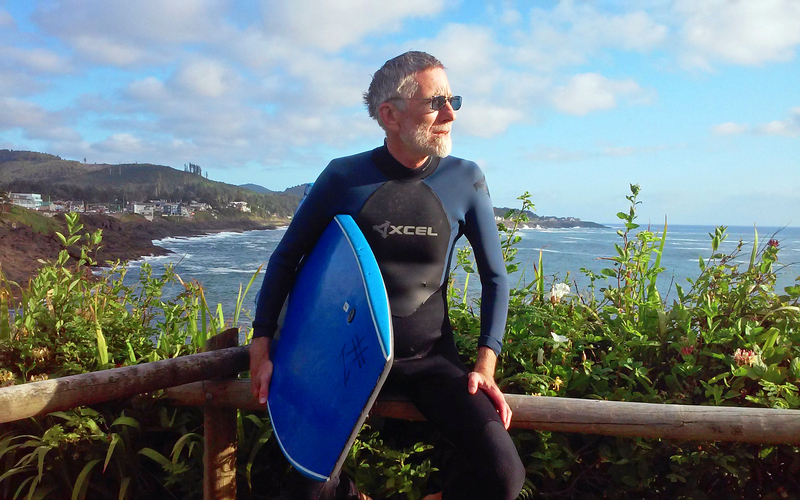 My wife and I enjoyed two weeks this summer through the mountains and along the coast of Oregon, where I reveled in stunning forests, riverside hikes, plus the rare chance to rent a board and wet suit and head out into the surf. Sure, I enjoy it as much as anyone: Looking forward to the next great meal, fresh-roasted coffee in the morning, the latest craft brew toward evening. And, yes, it all comes due when the next Visa statement arrives. But what about the other costs? The amount of fossil fuel burnt in our recreational playgrounds is stunning. RVs, trailers, mega-trucks, classic cars, motorcycles, off-road vehicles, boats, jet skis—and the air travel to get there—it’s all high horsepower running on cheap oil. To me, as a climate activist, this is daunting: our love affair with fossil fuels won’t end easily. Toward the end of our trip, these thoughts discouraged me as we drove through the Coast Range headed back to Portland. But then we stopped briefly in a rest area. Ironically, I found roadside comfort and inspiration in the Tillamook State Forest while reading signage that describes what’s known as the Tillamook Burn. “The Burn” was a series of fires that destroyed 350,000 acres of magnificent old growth forest in four separate fires between 1933 and 1951. The first fire started when a steel cable dragging a fallen Douglas fir rubbed against dry bark, creating, in the words of one writer, “a tiny spark that blew into a hurricane of fire.” That first blaze was eventually extinguished by seasonal rains, but debris from the fire reached ships 500 miles at sea. The loss in lumber was estimated at $442 million in 1933 dollars—a serious loss to a nation struggling through the Great Depression. Remarkably, only one firefighter was killed. Repeated burns led some to think that massive wildfires were inevitable and the land was now too damaged from intense heat to ever again sustain forests. The wildfires presented a scope of devastation that simply overwhelmed people’s thinking and dampened their spirits, leaving discouragement and doubt. But over time, cooperation by citizens, government, land owners, scientists and others resulted in efforts to restore The Burn. Hearings begun during World War Two eventually resulted in a decades-long reforestation program. One key to success were the joint public-private efforts. Volunteers included young people who eagerly hand-planted about a million seedlings over twenty years—still just a fraction of the 72 million trees planted. Everything from state prisoners to newly designed helicopters played a part in that massive restoration. Reforestation took place simultaneously with forest-industry research into better methods of planting young trees and maintaining mature forests. Eventually trees and wildlife began to recover and in 1973 the areas was dedicated as state forest. 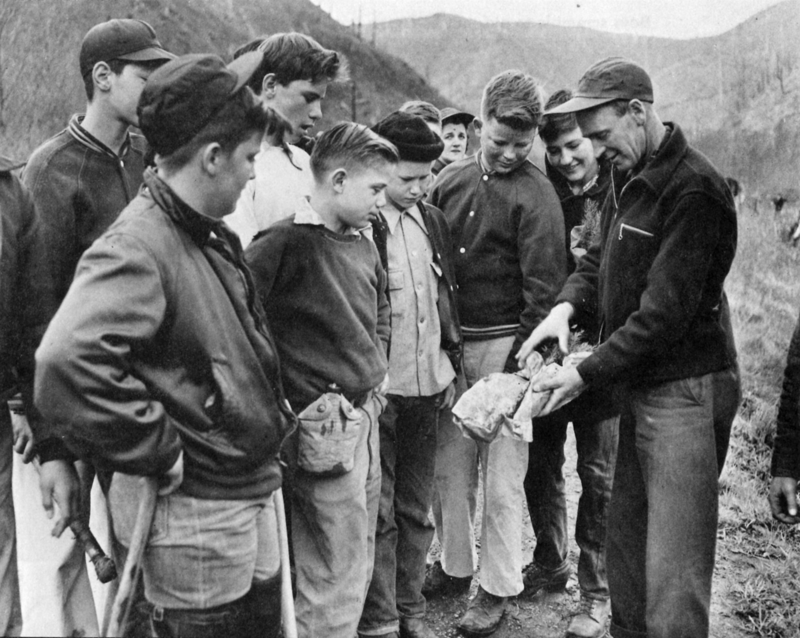 In 1949, a forester holds packets of seedlings to be used by young tree planters in reforestation. As I stood there this summer under a shady canopy of impressive second-growth forest, one fact jumped out at me: in central Oregon, when pressed, people, institutions and communities rallied to deal with a problem that at the time seemed impossible. What really brought me hope was realizing that nowadays, facing climate catastrophe, we have similar abilities to cooperate and innovate. 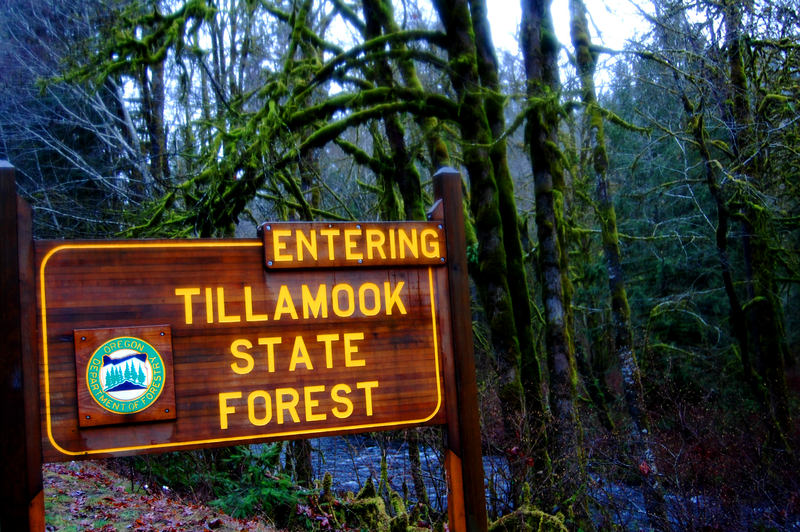 Can we apply lessons from the Tillamook Burn to an Earth already damaged by climate change? Maybe—but why not go one step further—come together and prevent planetary burn in the first place. Leaders in business, politics, and science now think there’s a way to make this happen. It’s called carbon fee and dividend. That simply means making dirty fuels more expensive (the fee) and returning that money to each household (the dividend) so we can buy cleaner fuel and better technology. These and other groups lead a rapidly growing national and international movement to price carbon, slow atmospheric warming, and create a healthy future. So, yes, I’d love to spend more time in stunning outdoor Oregon. My wife and I have standing invitations to return. But when we do, I plan to enjoy it while tooling around in an electric car! Jeremiah sometimes thinks he’s too old or infirm to go surfing, but is occasionally delighted to prove himself wrong.